A licensed clinical social worker with over 30 years experience working with older adults. She was director for twelve years of an adult day center in Indianapolis, IN. She served two terms as President of the Indiana Association of Adult Day Services, two terms as Secretary for the National Adult Day Services Association, and is co-recipient of NADSA’s 2010 Ruth Von Behren Award given in recognition of personal achievements and commitment of individuals in the field of adult day services who have had a national impact on adult day services. Marilyn has served on NADSA’s Education and Outreach committee, Membership committee, and has contributed to revisions of NADSA’s, “Training the Program Assistant in Adult Day Services” curriculum as well as most recent revisions to, “Standards and Guidelines for Adult Day Services”. 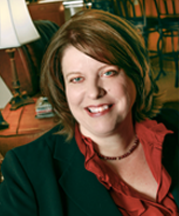 She chaired the Indiana Culture Change Coalition in 2011, co-chaired the organization in 2010. Ms Hartle co-authored the chapter, “Social Work and Dementia Care Within Adult Day Services”, in Dementia and Social Work Practice: Research and Interventions, 2007.